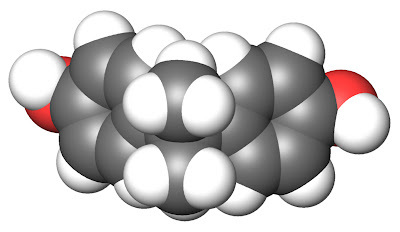 I’ve waffled in my opinions on the plastic known as Bisphenol-A (BPA) as the evidence for it and against it have been volleyed back and forth. Eventually, the debate began to tire me, and I caved in to buying BPA-Free because I would rather be safe than take a risk on a product that could potentially harm my children. It seemed like BPA was in the clear for a while, but then recently a memo was leaked by the BPA manufacturers that ranks right up there with Brian Dunning’s parody of an illuminati meeting. Except the memo wasn’t a parody. It was a shameful embarrassment to the BPA manufacturers that must be read to be believed. Recently, a friend to the new group on Facebook posted a link to an analysis of the BPA controversy by the non-profit research organization STATS. I checked out STATS, and they are very skeptic friendly; in fact, their mission seems to fall in line with the skeptic movement. They are dedicated to getting to the truth behind scientific information and helping the media report on it responsibly. So, check out the STATS report on BPA to see the origins of this “controversy” and how it became manipulated in the media.